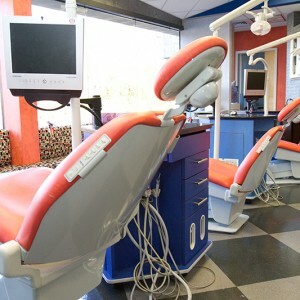 Our Newburgh, NY dental office is conveniently located for all of your orthodontics treatments. Dr. Jacquie Smiles is an orthodontist specialist for children and adults so you can feel confident knowing that an expert is managing your dental care. Her mission is to provide you and members of your family with excellent customer service and outstanding patient experience. Our office offers advanced treatments available, including Invisalign®, accelerated braces as well as financing with affordable payment plans to help you afford the cost of your orthodontics treatment in Newburgh, NY as well as surrounding Orange County area. Please contact our practice for more information on orthodontics, braces, and dental treatment from our experienced cosmetic dentist by calling us at (845) 782-4288. Dr. Jacquie Smiles and her group of professional orthodontists have more than 30 years of experience. Our staff treats you like family and our group of orthodontists work to help you feel confident and comfortable about all of your treatments. Our highly rated dental clinic offers orthodontic treatments for adults and children in Newburgh, NY that are designed to straighten the teeth, correct overbite issues and fix other problems that may be affecting your smile. Our specialists offer adults and children to fix common orthodontic problems and prevent any future dental issues that may arise. Please contact our dental practice in Newburgh, NY to schedule your orthodontics appointment with our experienced orthodontist specialist today by calling (845) 782-4288 or fill out our contact form to receive more information.